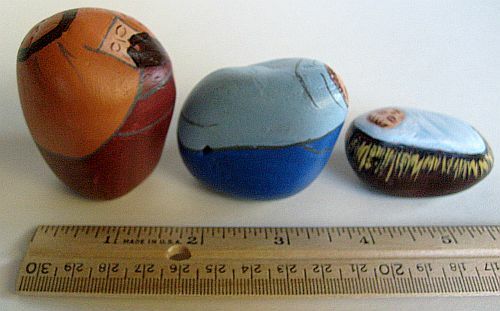 These nativity scene figures were hand painted on smooth, gray decorative stones measuring 2 inches. Mary's robe is painted with royal blue acrylic paint. Her headscarf is sky blue. 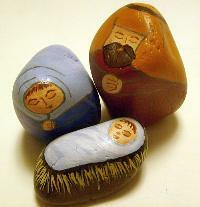 Joseph's robe is painted with rust red acrylic paint. His headscarf is terra cotta with a burnt umber headband. 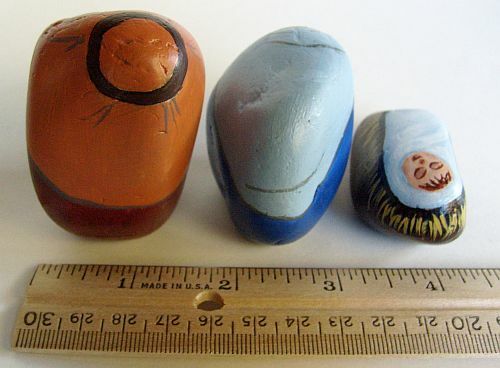 Baby Jesus swaddling clothes are painted with sky blue and white acrylic paint. 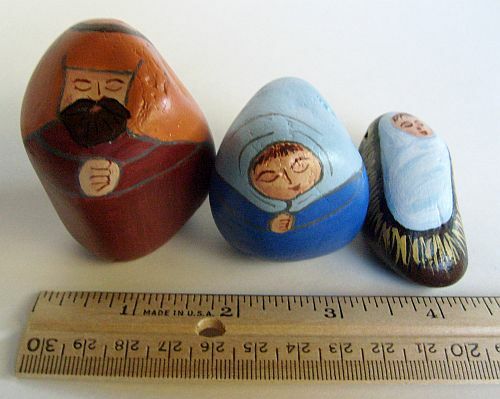 The manger is painted burnt umber with yellow ochre straw. 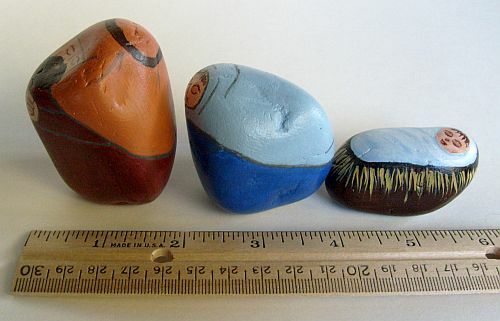 All three pieces are sealed with polyurethane.